Al Haymon Net Worth: Al Haymon is an American boxing adviser who has a net worth of $15 million. Al Haymon was raised in Cleveland, Ohio. He studied economics at Harvard and started his career in the music and television industries. He flourished, promoting acts like M. C. Hammer, New Edition, Whitney Houston and Mary J. Blige, and working with such actors as Eddie Murphy. It was around 2000 that Al dove into boxing when he promoted Vernon Forrest. 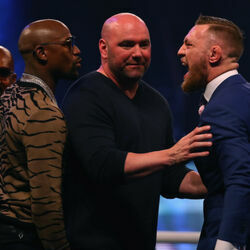 Throughout the next decade, Haymon made considerable influence in the sport, mostly due to his connection to Floyd Mayweather Jr. Haymon prefers to handle matters behind the curtain, while his fighters bask in the glow of their accomplishments. In 2005, he was honored with the Al Buck Award (Manager of the Year) from the Boxing Writers Association of America, thus joining legendary managers like Gil Clancy, Angelo Dundee, Eddie Futch, Lou Duva, Yancey Durham and Emanuel Steward. 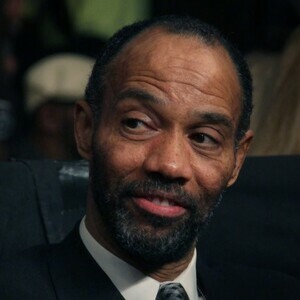 Despite the success, Al Haymon is not immune to criticism and controversy. Even though the purpose of the Muhammad Ali Boxing Reform Act was to separate boxing promoters from boxing managers, it is said that Haymon functions as both. 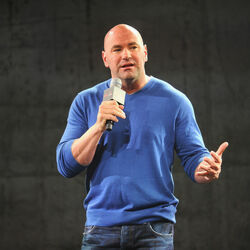 It's true that he boosts fighters' incomes to the maximum, but he does so at the expense of a fighter's health. According to some accusations, he is said to facilitate false records being submitted to boxing commissions. As for the fights that he arranges for his fighters prime spots on HBO, they are seen as less than quality match-ups, instead of easy bouts to expose his fighters. This led Haymon's influence to be questioned by Max Kellerman of HBO Sports.